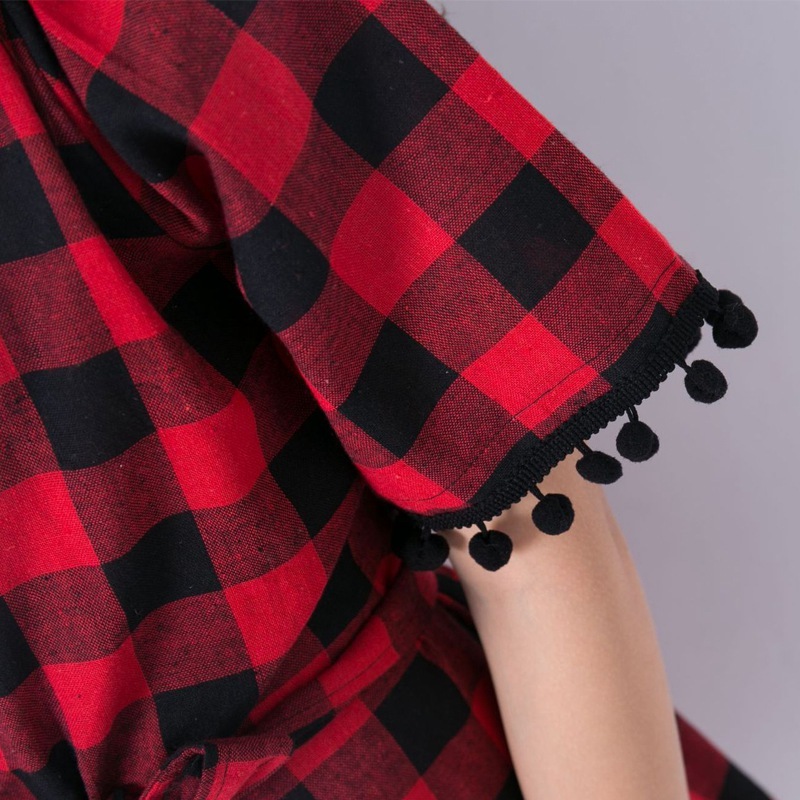 Your girl will enjoy the magical comfort of this Black And Red Dress that is designed with cotton fabric. The elegant tassel and belt decorations are totally open to any look. 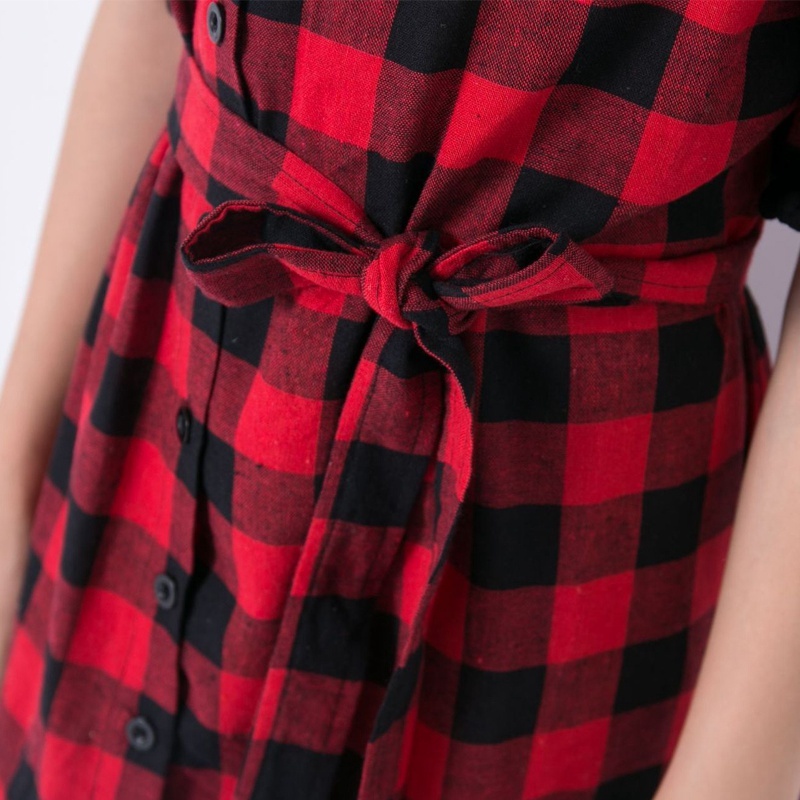 For adding to your girls' ever-growing wardrobe collection, this O-neck wear is fashioned with prominent straight silhouette and plaid pattern. Well, dress with a belt has been inducted into the style-conscious girls' favorite list. Don't miss this awesome dress.